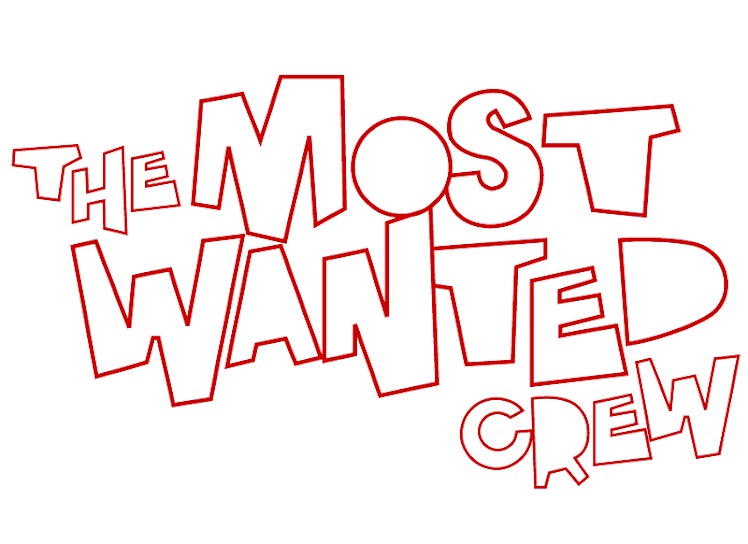 The Most Wanted Crew : Behind The Hype: A FEW WORDS. "I originally got into the Most Wanted Series after the 1st one was released. Silly of me, but I wasn't to sure of the calibur of designs that would be available. Once pictures were revealed I was hooked on the original 2 "cute" Dunnys (Dfed and Luihz Unreal) from series 1. I mostly collect unique but cute animals or creature designs that seem to almost leap off the form that they were created on. After finally tracking down a Luihz and purchasing my 4th Dfed and seeing how amazing they were, I started to look closer at the other designs that were included in the set. The interesting thing was even the few designs that I did not really care for or like (mostly not my style) even began to grow on me and not just because I am a completest. The reason being is that each of the artist in the set had a unique and different style that they interpreted and put onto the popular dunny form. They all had something that helped make them be able to stand on their own. Also, none of them were rushed or made over night which was another thing I looked closely at. Whether it was the different paints and styles used, or the addition of an accessory, each design seemed to take on a personality of their own. You could tell each artist wanted to get a little piece of their "heART" out into the world. Not for money or fame (Not that those are bad things) but for something meaningful that they wanted to get out of their imaginations for all to see." "I was also surprised with the artists involvement on the threads and their constant responses to what everyone had to say (even after the series was long sold out) showed that they truely cared for the series they helped create. I have had a ton of art coming in and out my collection, but nothing makes me get rid of a piece quicker then when artists are rude or don't take care of the artwork they've created. I recently received a dunny from an artist with no packaging, which was blind boxed in a trash bag. Lets just say that I cant respect an artist who does not respect the value of thier own work. Which brings me to my point, every single figure that I have from the Most Wanted series will be staying with me until I croak. The uniqueness and individuality is what brought me to this set. There is a reason why this set is called Most Wanted and that is because unlike the run of a mill series, these Dunnys have what it takes to be wanted; Uniqueness and artists who care about their products." "I spent over $600 on this series for one reason only. . .EVERY Dunny in the lineup is a "Golden Ticket"!" "I love the work of FAS and Chauskoskis. I've followed them through the Kronikle. So when I heard about the Most Wanted Series 2, it was a dream come true, haha. And now, thanks to the series, im obsessed with Matucha! My collection isn't that great, it mainly consists of the cartoon series 3 in. vinyls (Futuram/ Simpsons/ Family Guy), some Jesse Hernandez pieces and a few other dunnys, because my son is mesmerized by them. I figured it was time to get some true beauties for the collection." "About three or four months before my ninth Christmas, I got into star wars figures. My dad was put in charge (by my Mum) of going out and getting the nine main characters for me. Apparently it took him days to find obi-wan kenobi, he walked miles. When I came downstairs on Christmas morning, thy were all laid out, with a tie fighter wrapped behind them. I was beside myself, it's the clearest childhood picture in my head. That's the feeling I've just had for the last two hours with the delivery that came in today." ". . .these are amazing. Every detail, every brushstroke - not that you can see them - are terrific. The accessories are extraordinary. The packaging quality is beyond production standard."